Miller Eye Center participates in most insurance plans. We are happy to bill your services to any plan with which we have a contract. Please be sure to bring all relevant information regarding your insurance so that we can process your claim. Prior to your appointment, we recommend checking with your insurance carrier to determine if Miller Eye Center participates in your plan. Patients who do not currently carry insurance or are covered through a plan other than those that Miller Eye Center is contracted with will be required to make a full payment at the time of service. One of our receptionists will gladly provide you with the necessary paperwork for you to submit a claim to your insurance carrier. If you do not see your insurance carrier listed, please call 815-316-3705 as our network continues to grow. Some insurance plan guidelines require a referral when seeing a specialist. If your plan requires this, please be sure to have a valid referral prior to coming for your appointment. If you do not have a valid referral at the time of your appointment, it may be necessary to reschedule. Charges for noncovered services are due at the time of service. This includes refraction charges and any cosmetic procedures. Please note, most insurance companies consider contact lenses to be cosmetic and therefore typically will not cover them. 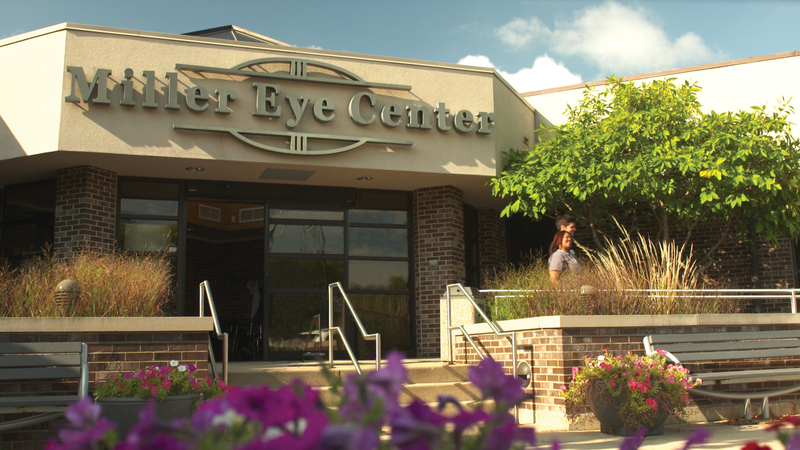 Here at Miller Eye Center, financial considerations should not be an obstacle in obtaining the eye care you deserve. Most large charges can be placed on payment plans through CareCredit healthcare credit card. Our goal is to make healthcare affordable for any budget. It is for this reason that we make our cataract and premium lens procedures affordable, by offering a combination of expertise, experience, and advanced technology at a price everyone can afford. What is the difference between Health and Vision Insurance? We often have patients that have both Vision Insurance (for example, VSP, Eyemed, or Davis Vision) and Medical Insurance (for example, BCBS, Aetna, or Medicare). They are very different in terms of the services they cover, and it is important for our patient’s to understand these differences. Vision Insurance is separate from your Health Insurance. It’s often from a different insurance provider and covers the annual eye exam necessary to determine if you need an eyeglasses prescription, or a change in the prescription you currently have. Most Vision Insurance has either a moderate allowance for a set of eyeglasses or a fixed dollar amount for contact lens care. Only very rarely are both eyeglasses and contact lenses paid for by your insurance in the same enrollment year. Medical Insurance covers you for anything that has a medical diagnosis. This would include visits for an eye infection, diabetic checkups, sudden onset of flashes and floaters, dry eye problems, and chronic or acute allergy issues. Your Medical Insurance would also cover progressive evaluations to monitor cataracts, glaucoma and other recurring issues. Most medical insurances will not cover your annual eye exam or any glasses/contacts needed.